Spring is Here! A bit early. 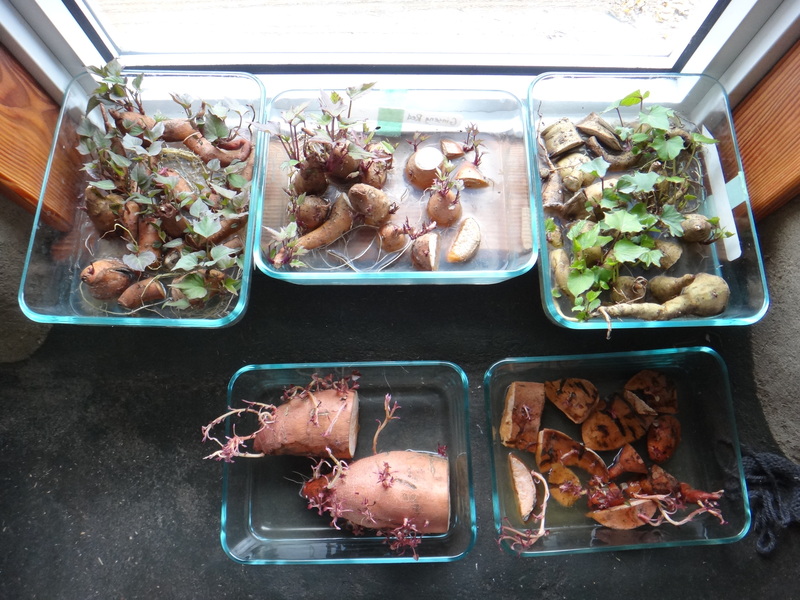 Potting up bare root shipments of some new food forestry plants. We also have had great success starting Meyer lemons from cuttings. Good news as we just sold our last lemon plant. For those that have already purchased their blight resistant hazelnuts – LUCKY YOU. 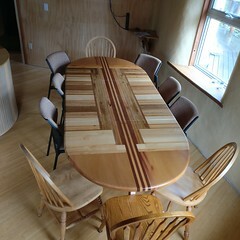 We tried to order some more and there is 2 year waiting list. Thankfully we still have a few left in stock. 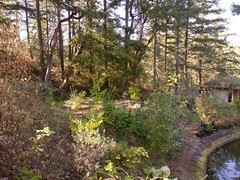 Planning on where to plant our 2 asparagus beds (50 crowns for us) and lots of ever-bearing strawberries for ground cover. We have lots of bare root Sweet Purple Asparagus crowns for sale as our shipment had an extra 100 plants. $2 each. Here is an excellent article on planting and growing asparagus. 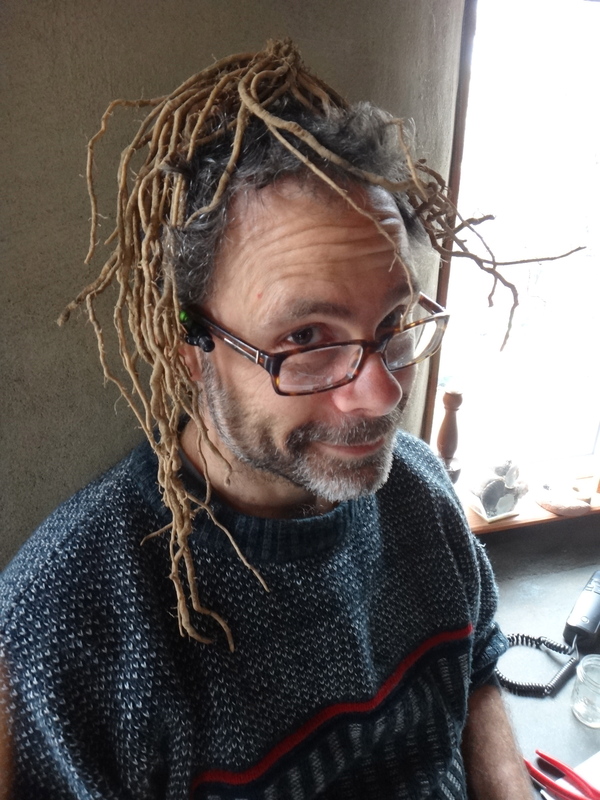 Gord spent a great deal of time this week sourcing out replacement stock for the items we have not yet propagated (or are too small to sell). Holy smokes these plants are hard to find…especially since we are trying to source from Canadian sources. Importing plants is too expensive with the low Can $, the shipping, duty, and customs. We have been busy learning all about some new plants too: Dwarf Bush fig, Strawberry Red Rhubarb, Black Monukka Grape, Peters Honey Fig, Quinal and Tristar strawberries, Sweet Purple Asparagus, and more dwarf sour cherry’s, fuzzy kiwi’s, Arbequina Olives, Gooseberries, etc. Plant list and prices here: All prices include GST. Gord grafting last year. Boo is helping. 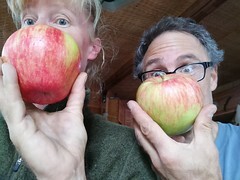 Gord wrote two articles for the BC Fruit Tester’s Association, one on Greywater and one on Food Forestry. 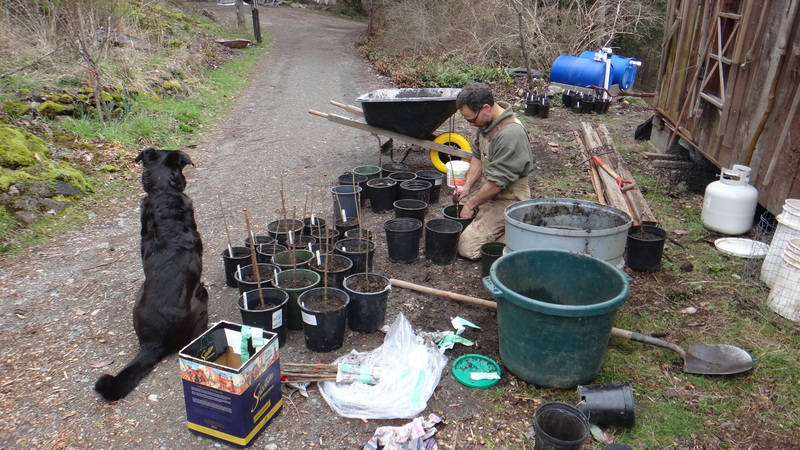 Saturday (March 21) is the BC Fruit Testers Association sale at the Saanch Fair Grounds… Gord’s excited to go again this year and will be busy grafting more trees here on Tuesday. Our Municipal council meeting this week focused on fire protection in the Highlands. We spoke about how climate change is predicted to cause longer, hotter, dryer summers, which translates into greater fire risk. 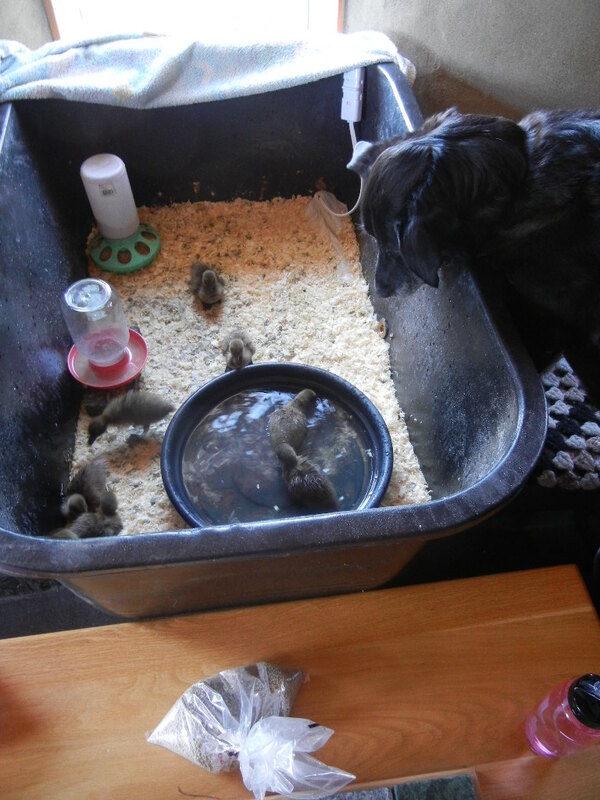 Our ducks when they were little. Dog TV. 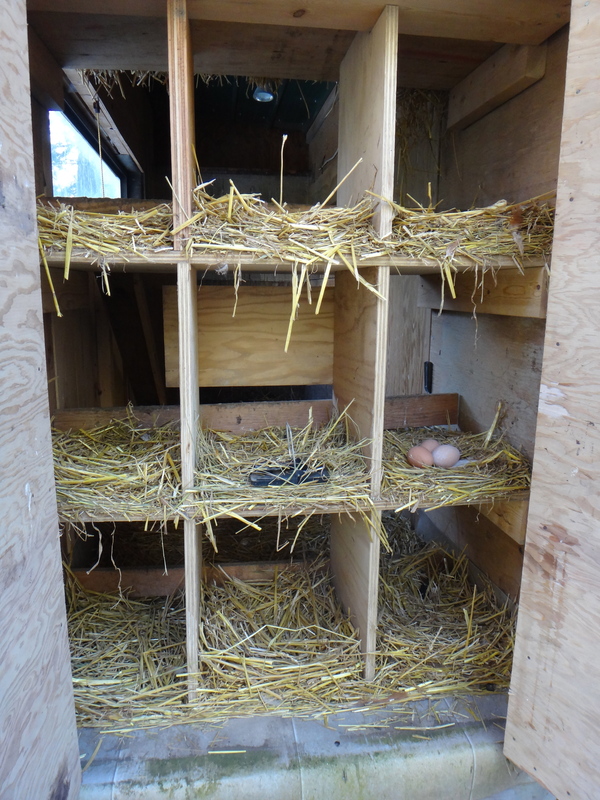 Sweet Pea and Angie have started laying duck eggs again (as opposed to chicken eggs), after taking the winter off. We will have 12 duck eggs for sale on sunday. ($4/half dozen). We pulled 43 ticks out of the dog last week and another 15 last night. We have a vial of black legged ticks ready to send in to the lab for analysis. Worst tick year ever. Poor Boo. Ann even had a council packaged delivered and when she opened it up there was a tick inside. Ack! Ann has been REALLY enjoying her home grown and processed black tea. 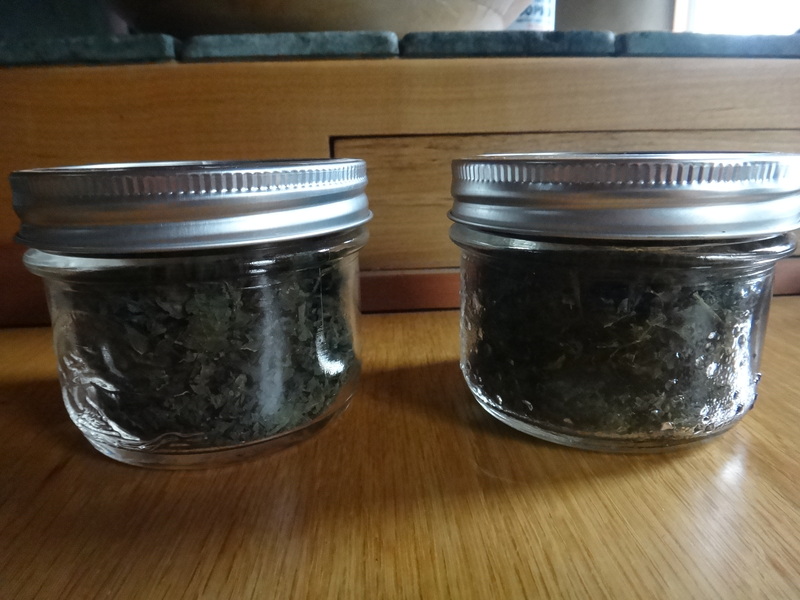 Leaves were bruised, oxidized, fermented and then dried. SO GOOD. Tea plants have been our biggest sellers lately. We currently have 2 types with a third type coming next week. 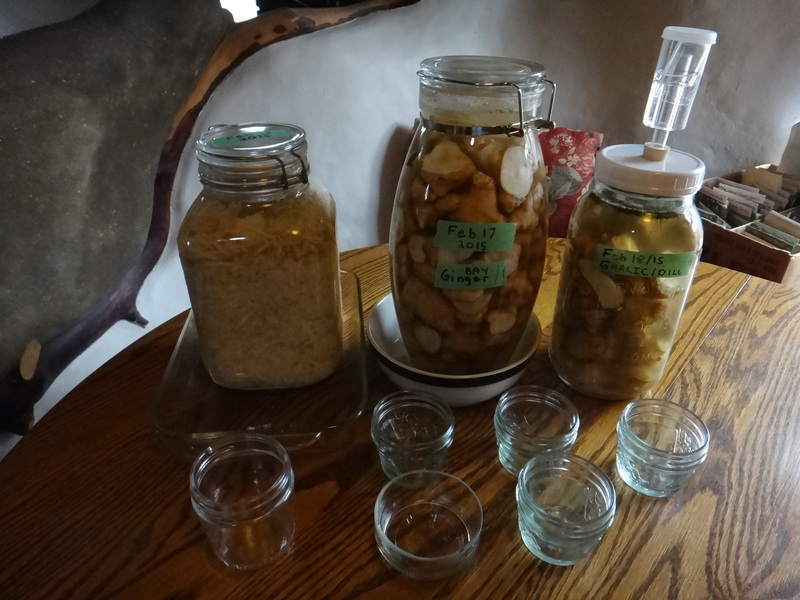 We’ve been fermenting all kinds of food. 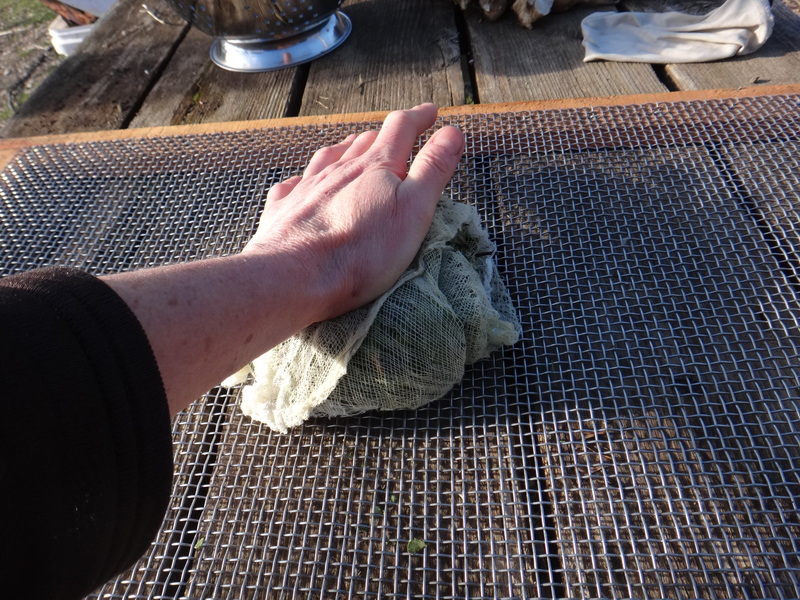 Gord made some cut off glass bottoms that are perfect to put into the jar to hold down the fermenting veggies under the brine. This works awesome in both the jar types. Sweet potatoes have been very popular so far this year. We have 4 types for sale. Just yesterday we heard Brian Minter on the CBC talking about Georgia Jet Sweet Potatoes and how well they can do in our climate. We have certainly had bumper crops. Here’s a photo of how I start my slips. Once they get going I pluck off the shoot with roots and plant in soil. The slips are $4 each. I read the part about the Ticks. We too have had problems with ticks here in Ladysmith…… Remedy – 20 drops Rose Geranium to 20 ml Sweet Almond carrier oil. We still see them on our dog, but they don’t appear to be attaching….. It smells good, so I where it as well. Thanks Deb, we have been hearing about the rose geranium oil. Will try!